Screenshot taking is one of those bi-polar activities. Either you do very little of it, or you do tons. There's no middle ground. 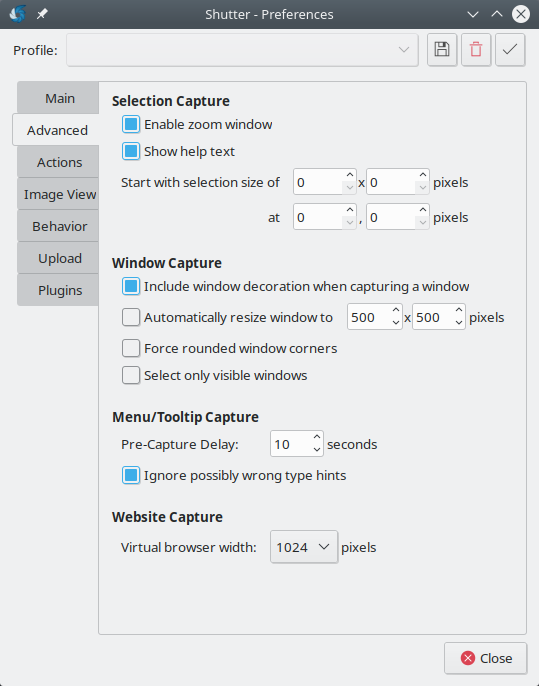 If you're like me, reviewing software quite often, then you fall into the fabulous category, and you need reliable tools that will let you take screenshots quickly and efficiently. You might say, that's what the PrntScn key was invented for, but what if you need only active windows, or parts of the screen, or maybe decorations? Or no mouse pointer? 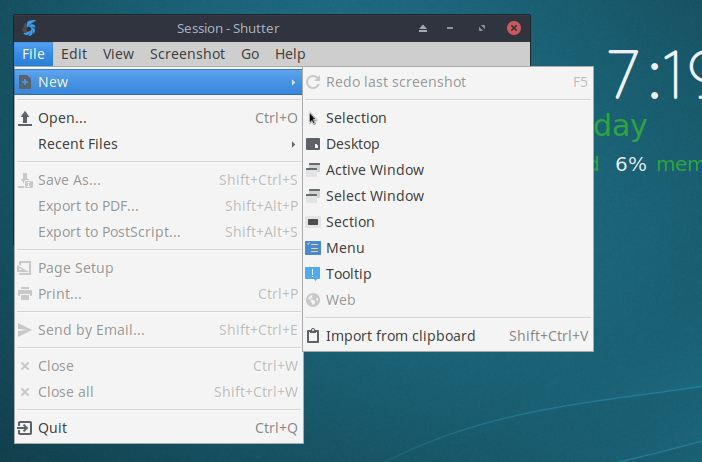 Over the years, I've tried many screenshot tools, and I talked about this at length in my KDE apps review piece. There are many a screenshot program, but somehow, they all have one little flaw that prevents them from being really cool. Recently, though, I've cast my eyes on an oldie and hopefully goldie - Shutter. It's been dormant for a while, but now it's come back, and so we are testing. 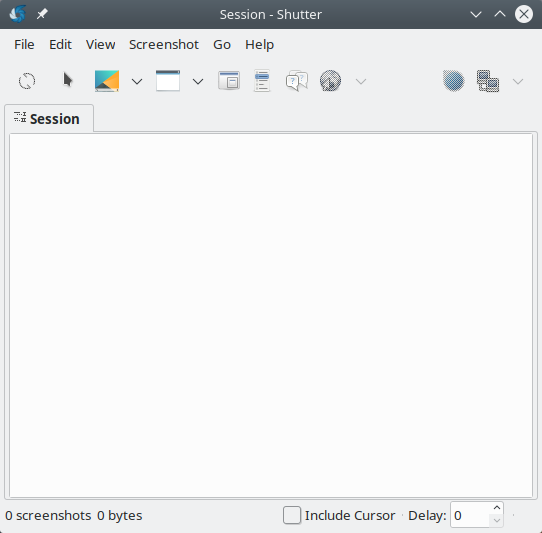 I tested in Kubuntu, and the latest version is available through the repo (0.94 while writing this). As it happens, the PPA seems dead (returns 404). Anyway, once you have the program installed, you launch its main window, which looks a bit like a simple image editor. And it is. 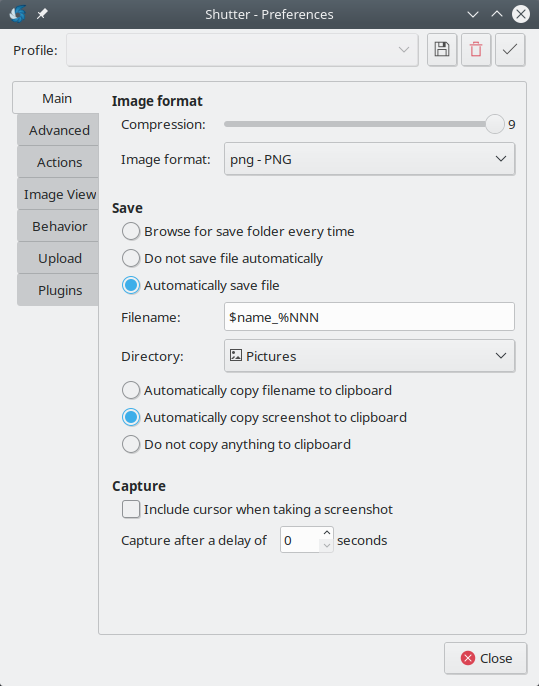 You have a tabbed interface where your screenshots will show up once you start taking them. 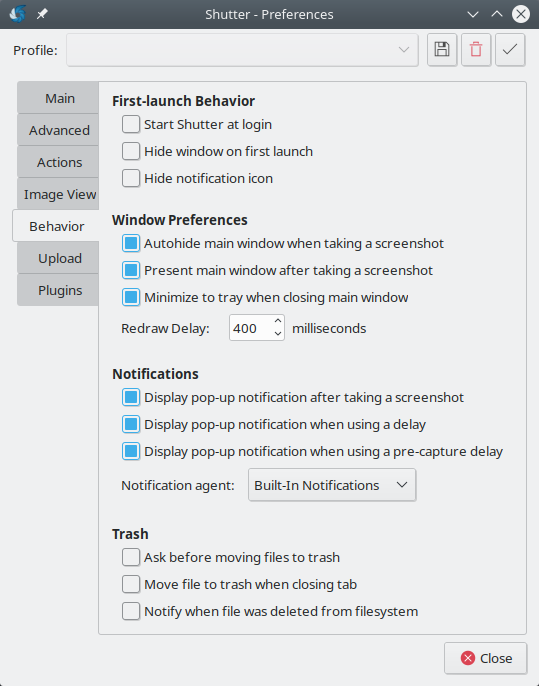 You can quickly and easily scroll through them, see them all as one big gallery of thumbnails, and of course, perform various quick actions, including taking screenshots of different screens, active windows, menus, tooltips, and more. Some handy extras that I didn't see that often in other programs of this kind. There were also some disabled extras - they require that you install additional packages, like Gnome Web Photo and libgoo-canvas-perl. Now, why not provide these as dependencies for a seamless experience? 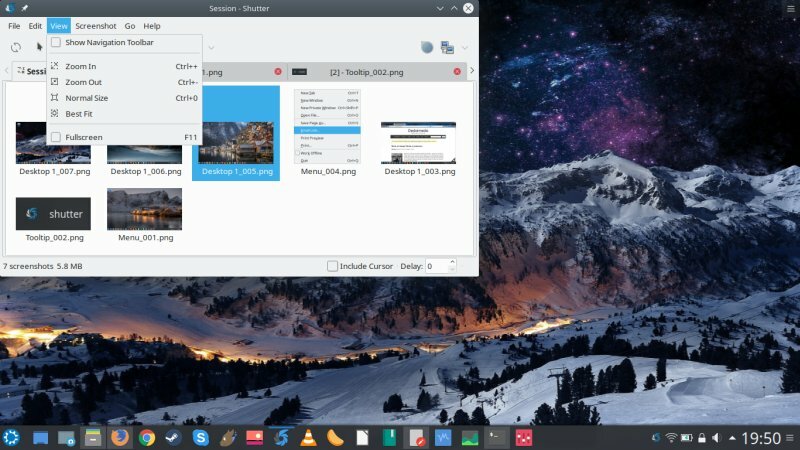 And why not plug into the super-feature-rich KDE framework, which has export facility to just about any conceivable platform. Take a look at digiKam or GwenView - or even Spectacle. 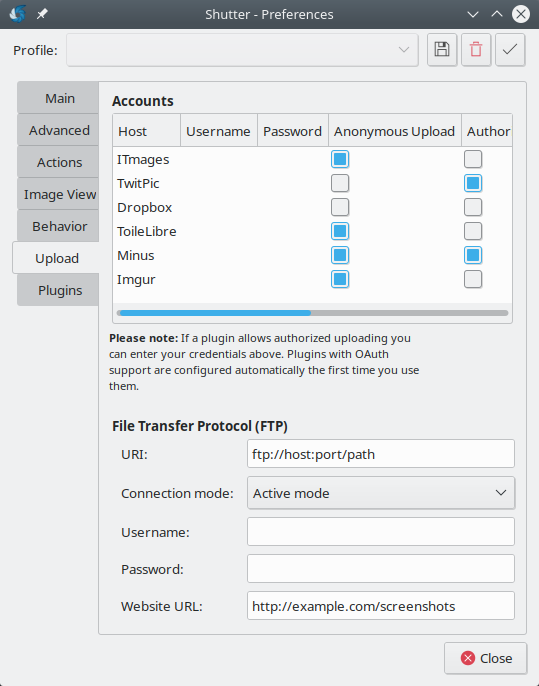 But you do get FTP upload, and this also includes Dropbox and Imgur, so you're sort of half way there. Not bad, but also not the main focus of this utility. 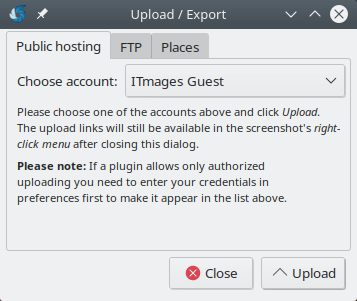 You get a handy set of plugins - quick edits you can apply to your images. 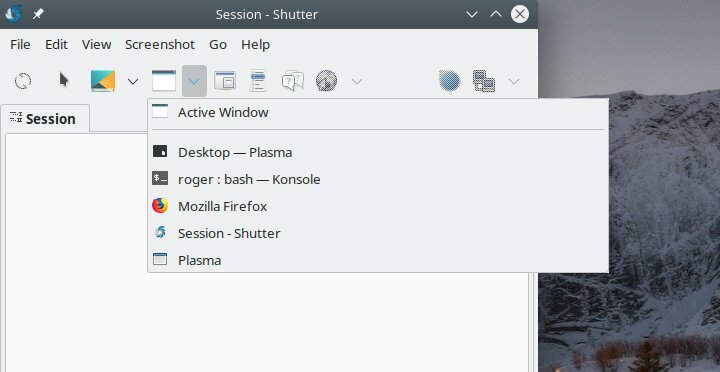 Nothing too fancy, and it won't replace GIMP any time soon, but if you don't need the full power of an image processing suite, you can just use Shutter to make small changes and adjustments. I prefer to do this separately, and don't consider this a killer feature in any screenshot tool, but some people may like it. Shutter integrated well with me desktop. System area, all nice and such. Plus, you get the common actions available under the right click of the mouse. Now, Shutter wasn't able to take a screenshot of this menu of its own, I guess inception, so I used Spectacle to grab it, so you can see it. Of course, Spectacle also added its shadow effect, which you can't remove. Shame, isn't it, because Spectacle does so many things well. 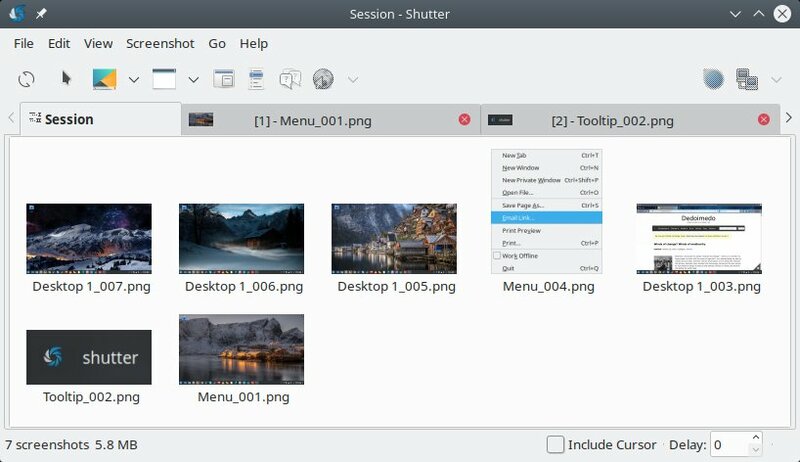 Shutter is customizable, and you have a lot of freedom configuring the backend. Automatic saves, location, delay, effects, all sorts of things like that. Best of all, you can actually save your settings under different profiles, so this can be quite handy if you need to run special, custom-screenshot sessions. I extended my testing to other distributions and desktop environments - like MX-18, and there, the results were similar. The tool works in a predictable and consistent fashion. This is a good thing, because sometimes, programs with hard-coded this or that DE can wonk when taken out of their natural habitat. No issues. Shutter is a very handy screenshot tool. I'm quite pleased. But then, it also has its tiny flaws that make it imperfect. 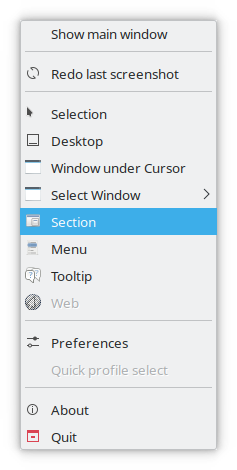 Most notably, the workflow is slightly more intrusive than if and when you work with something like Spectacle or Gnome screenshot. In this regard, I need something with the flexibility of the former and the simplicity of the latter. Back in the day, I think KSnapshot was that tool. Philosophy aside, because we've already said all that needs to be said on these other programs, on its own, Shutter is a respectable choice. Powerful, extensible, practical, with lots of good features and options, and the ability to tweak the settings. It allows you to take screenshots en masse, and it's definitely a smart choice for extensive use. I'd like to see a somewhat faster flow, and since the buttons are there, the use of native desktop plugins for image export. Other than that, a very pleasing surprise. Clearimage Screenshot Revival. Or something.